That comes to mind with the news that Volkswagen, still struggling to get beyond its diesel cheating scandal, is looking beyond diesel engines as its future. Then again, it pretty much has to at this point. It's becoming more clear that new direction is electric vehicles. Just last month, the German automaker unveiled “Together – Strategy 2025,” a plan to introduce more than 30 purely electric vehicle models over the next 10 years. 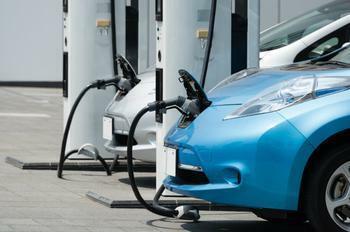 Eventually, it expects electric vehicles to account for around 25% of its global market. More recently, Volkswagen has announced it will not relaunch its “clean diesel” line in the U.S. The label has been badly damaged by events and the technology itself has been called into question. This week VW told The Wall Street Journal that it plans to begin building electric powered cars in North America by 2020 – four scant years from now. “This is a dramatic shift in VW’s drivetrain strategy but not unexpected after the past year’s negative headlines directed at diesel technology,” said Kelley Blue Book senior analyst Karl Brauer. But it is a huge shift for European carmakers. While Japan has led the way in electric and hybrid technology, European automakers have been skeptical, or even dismissive, of hybrid and electric powertrains. But Brauer says the last year or two has made a difference. Will it work? There are plenty of examples of enterprises rising from the ashes after embracing a bold, even radical departure from its business plan. It seems clear Volkswagen is banking on uncoupling its brand from diesel and hitching it to green transportation technology.